Jerf Yeung joined the Department of Social and Behavioural Sciences at City University of Hong Kong in 2013. He is a registered social worker and obtained his PhD in social work from The Hong Kong Polytechnic University. Before teaching in university, he has engaged in social work services and related research since he graduated in social work from City University of Hong Kong and worked in the fields of youth, children and family, and elderly services. His research interests include family and children, religion and health, and adolescent health. A review evaluation of intervention services for high-risk girls’ groups, Commissioned by YWCA, Welfare Development Fund, April 2013- March 2016 , Jerf YEUNG (Co-PI). An evaluative study on the care and support service for deprived families, Commissioned by St. James Settlement, Welfare Development Fund, December 2013 - December 2014, Jerf YEUNG (Co-PI). Dreams Making Journal: A project to support disadvantaged families for health development of their young children in socially deprived neighborhoods in Hong Kong, Commisioned by YWCA, The Hong Kong Jockey Club Charities Trust, September 2014- November 2017, Jerf YEUNG (PI) . Faith-Based Treatment for Substance Addiction in Hong Kong: A Naturalistic Treatment Outcome Study, General Research Fund (Early Career Scheme), January 2017-January 2019, Jerf YEUNG (PI). Gendered Deviant Behaviors of Female Youths At-Risk: A Multi-System Approach, Strategic Research Grants (SRG), September 2018-August 2020, Jerf YEUNG (PI). Promoting wellbeing of families with children at-risk of Attention Deficit Hyperactivity Disorder (ADHD), Health Care and Promotion Fund, April 2015- September 2016, Jerf YEUNG (Co-I) . 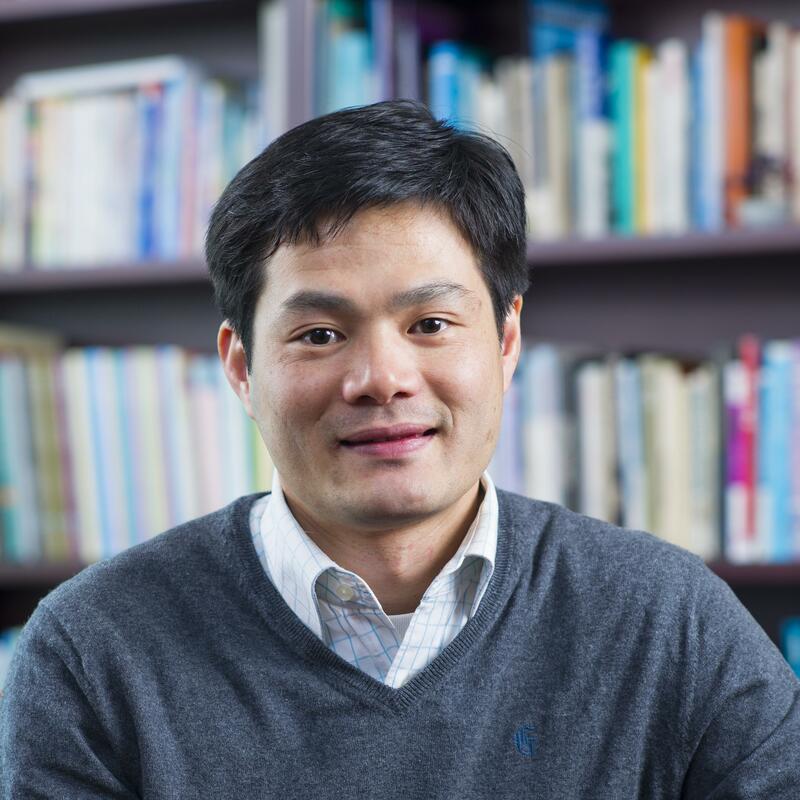 Religion, family socialization and developmental problems of adolescent children in Hong Kong, Start-Up Grant, July 2014 - February 2016, Jerf YEUNG (PI). Research on Rehabilitation Programme Provided for Drug Addiction Treatment Centre (DATC) Programme, Consultancy, Correctional Services Department (CSD) of HKSAR, September 2016-September 2018, Jerf YEUNG (Co-PI). Spiritual and Psychosocial Changes of Addict Patients in Faith-based Treatment: A Longitudinal Study, Strategic Research Grants, September 2015- August 2016, Jerf YEUNG. Yeung, J. W. K. (in press). Family socialization and Chinese youths’ development: Does psychosocial maturity matter?. Marriage & Family Review. [SSCI]. Chen,, H.-F. , Chan,, H. Y. & Yeung, J. W. K. (in press). Objective Measurement for Assessing Students’ Reflective Ability during the Social Work Practicum. Journal of Social Work Education. [SSCI]. Yeung, J. W. K. , Lo, H. H. M. , Low, A. Y. T. , Tam, C. H. L. , Kwok, S. Y. C. L. , Zhang, Z. & Kim, T. Y. (in press). Parenting Discrepancy and Child Development in Chinese context. Journal of Social Service Research. [SSCI]. Lo, H. H. M. , Wong, S. W. L. , Wong, J. Y. H. , Yeung, J. W. K. , Snel, E. & Wong, S. Y. S. (in press). The Effects of Family-Based Mindfulness Intervention on ADHD symptomology in young children and their parents: A randomized control trial. Journal of Attention Disorders. [SSCI]. Yeung, J. W. K. (2018). Religion, volunteerism and health: Are religious people really doing well by doing good?. Social Indicators Research. 138(2). 809 - 828.[SSCI]. Zhang, Z. , Yeung, J. W. K. & Kim, T. Y. (2018). Rural to urban migration and distributive justice in contemporary China. Asian and Pacific Migration Journal. [SSCI]. 27(1). 80 - 100.[SSCI]. Lo, H. H. M. , Yeung, J. W. K. , Duncan, L. G. , Ma, Y. , Siu, A. F. Y. , Chan, S. K. C. , Choi, C. W. , Szeto, M. P. , Chow, K. K. W. & Ng, S. M. (2018). Validating of the Interpersonal Mindfulness in Parenting Scale in Hong Kong Chinese. Mindfulness. 9. 1390 - 1401.[SSCI]. Cheung, C.-K. & Yeung, J. W. K. (2017). Parental and Teachers’ Regard as Mediators of the Effect of Girls’ Delinquency on Hope. Child Indicators Research, 10(3), 839–858. [SSCI]. Yeung, J. W. K. , Chen, H. F. , Lo, H. H. M. & Choi, A. W. M. (2017). Relative Effects of Parenting Practices on Child Development in the Context of Family Processes. Revista de Psicodidactica. 22(2). 102 - 110. [SSCI]. Yeung, J. W. K. (2017). Religious involvement and participation in volunteering: Types, domains and aggregate. VOLUNTAS: International Journal of Voluntary and Nonprofit Organizations. 28(1). 110 - 138. [SSCI]. Lo, H. H. M. , Kwok, S. Y. C. L. , Yeung, J. W. K. , Low, A. Y. T. & Tam, C. H. L. (2017). The Moderating Effects of Gratitude on the Association between Perceived Parenting Styles and Suicidal Ideation. Journal of Child and Family Studies, 26(6), 1671–1680. [SSCI]. Tam, H. L. , Kwok, S. Y. C. L. , Lo, H. H. M. , Low, A. Y. T. , Yeung, J. W. K. & Li, C. I. K. (2017). The moderating effects of positive psychological strengths on the relationship between parental anxiety and child depression: The significance of father's role in Hong Kong. Children and Youth Services Review. 73. 283 - 290. [SSCI]. Low, A. Y. T. , Kwok, S. Y. C. L. , Tam, C. H. L. , Yeung, J. W. K. & Lo, H. H. M. (2017). The relationship between childhood physical abuse and suicidal ideation among Chinese university students: Possible moderators. Children and Youth Services Review, 81, 94-100. [SSCI]. Yeung, J. W. K. , Zhang, Z. & Kim, T. Y. (2017). Volunteering and health benefits in general adults: cumulative effects and forms. BMC Public Health, 18, 8. [SCI]. Yeung, J. W. K. (2016). Parent-child discrepant effects on positive youth outcomes at the aggregate family functioning context in Hong Kong. Applied Research in Quality of Life. 11. 871 - 890. [SSCI]. Yeung, J. W. K. (2016). Parenting discrepancies in the aggregate parenting context and positive child outcomes in Chinese Parent-Child Dyads. Personality and Individual Differences. 98. 107-113. [SSCI] . Yeung, J. W. K. & Chan, Y. C. (2016). Parents’ Religiosity, Family Socialization and the Mental Health of Children in Hong Kong: Do Raters Make a Difference?. Journal of Family Studies. 22(2). 140 - 161. [SSCI]. Yeung, J. W. K. , Cheung, C. -K. , Kwok, S. Y. C. L. & Leung, J. T. Y. (2016). Socialization Effects of Authoritative Parenting and Its discrepancy on Children. Journal of Child and Family Studies. 25(6). 1980 - 1990. [SSCI]. Lo, H. M. H. , Wong, S. Y. S. , Wong, J. Y. H. , Wong, S. W. L. & Yeung, J. W. K. (2016). The effect of a family-based mindfulness intervention on children with attention deficit and hyperactivity symptoms and their parents: design and rationale for a randomized, controlled clinical trial (Study protocol). BMC Psychiatry. 16, 65. [SCI]. Cheung, C. -K. & Yeung, J. W. K. (2015). Enhancing Job Performance and Mental Health through Organizational Nurturing Culture. Human Service Organizations: Management, Leadership, & Governance. 39(4). 251 - 266. [SSCI]. Yeung, J. W. K. (2015). Investigating the Relationships Between Family Socialization and Adolescent Outcomes in Chinese Parent-Child Dyads. Child Indicators Research. 8. 887 - 905. [SSCI]. Kwok, S. Y. C. L. , Yeung, J. W. K. , Low, A. Y. T. , Lo, H. H. M. & Tam, C. H. L. (2015). The roles of emotional competence and social problem-solving in the relationship between physical abuse and adolescent suicidal ideation in China. Child Abuse & Neglect. 44. 117 - 129. [SSCI]. Yueng, J.W.K. & Chan, Y.C. (2014). Parents’ religious involvement, family socialization and development of their children in a Chinese sample of Hong Kong. Social Indicators Research. 117. 987 - 1010. [SSCI]. Yeung, J. W. K. & Fan, C. P. S. (2013). Being Socially Isolated is a Matter of Subjectivity: the Mediator of Life Meaning and Moderator of Religiosity. Review of Research and Social Intervention. 42. 204 - 227. [SSCI]. Yeung, J.W.K. & Li, E. (2011). Application of advanced modeling in social work research: A demonstration of multilevel path modeling analysis by Mplus. Review of Research and Social Intervention. 35. 108 - 12. [SSCI]. Cheung, C. -K. & Yeung, J. W. K. (2011). Meta-analysis of Relationships between Religiosity and Constructive and Destructive Behaviors among Youth. Children and Youth Services Review. 33(2). 376 - 385.[SSCI]. Yeung, J.W.K. & Chan, Y.C. (2011). The mediating role of parental psychological health in Chinese families in an impoverished context in Hong Kong. Drustvena istrazivanja: Journal for General Social Issues. 20(4). 1085 - 1100. [SSCI]. Yeung, J. W. K. , Kwok, S. Y. C. L. & Chung, A. (2010). Correlates and Prevalence of Depression in Nursing Home Chinese Residents in Hong Kong and Implications for Services and Policy Intervention. Ljetopis socijalnog rada: Annual of social work. 17(3). 445 - 460. [SSCI]. Yeung, J.W.K. & Chan, Y.C. (2010). Family functioning of Chinese families on an impoverished neighborhood in Hong Kong. Psychological Reports. 107(3). 740 - 748. [SSCI]. Cheung, C. -K. & Yeung, J. W. K. (2010). Gender Differential in Deviant Friends’ Influence on Children’s Academic Self-esteem. Children and Youth Services Review. 32. 1750 - 1757. [SSCI]. Yeung, J.W.K. , Cheng, H.C.H. , Chan, F.K.H. & Chan, Y.C. (2010). Religiosity and Youth Destructive Behaviors: A Meta-Analysis. International Journal of Psychology Research. 6(1-2). 143 - 172. Cheng, H.C.H. , Chan, Y.C. & Yeung, J.W.K. (2009). Ambivalences and dilemmas in handling family violence cases among youth workers in Hong Kong. Asia Pacific Journal of Social Work and Development. 19(1). 22 - 38. [SSCI]. Chan, Y.C. & Yeung, J.W.K. (2009). Children living with violence within the family and its sequelae: A Meta-Analysis from 1995-2006. Aggression and Violent Behavior. 14. 313 - 322. [SSCI]. Yeung, J.W.K. & Chan, Y.C. (2009). Youth religiosity and substance use: A meta-analysis from 1995 to 2007. Psychological Reports. 105. 1 - 12. [SSCI]. Yeung, J.W.K. , Cheung, C.K. & Chan, Y.C. (2007). Impacts of religious involvement on adolescent health and behavioral outcomes: Implications for local research in Hong Kong. Journal of Youth Studies. 10(2). 178 - 197. Yeung, J. W. K. (in press). Religion, Family and Chinese Youth Development: An Empirical View. London: Routledge. Yeung, J. W. K. , Kim, T. Y. & Man, J. S. L. (2018). Volunteering and Positive Youth Development: An Accumulative Approach. E. Balashov (Ed), Volunteering: Attitudes, Social Influences and Gender Differences (pp. 41-64). New York: Nova Science Publishers. Yeung, J. W. K. (2016). Religion/ spirituality and health in Chinese context: Where we are and where should we go? In Rochelle Cooper (Ed. ), Religiosity: Psychological Perspectives, Individual Differences and Health Benefits. New York: Nova Science Publishers. Yeung, J. W. K. (2015). God in a pagan context: Religion, family socialization and child development in Hong Kong. In Nicolette V. Roman (Ed. ), Parenting: Behaviors, Cultural Influences and Impact on Childhood Health and Well-Being (pp. 145-162). New York: Nova Science Publishers. Yeung, J. W. K. & Zhang, Z. (2015). Parents’ religious involvement, family socialization and adolescent behavioral problems in hong kong. In Jared A. Jaworski (Ed. ), Advances in Sociology Research (Volume 16, pp. 29-50). New York: Nova Science Publishers. 楊偉強, (2012). 「有讀寫障礙的兒童之特徵及需要」。載於伍偉基、潘詩雅、及鄭藹芝編，《InfinityHOPE讀寫障礙兒童支援服務計劃活動教材套》(頁 8-16)。香港: 香港基督教女青年會。. Yeung, J. W. K. , Cheng, H. C. H. , Chan, F. K. H. & Chan, Y. C. (2011). Religiosity and youth destructive behaviors: a meta-analysis. In Alexandra M. Columbus (Ed. ), Advances in Psychology Research (Volume 79, pp. 95-124). New York: Nova Science Publishers (Reprinted). Lo, T. W., Tam, C., Yeung, J., Kwok, S., & Chan, G. (2018). Research Report on Rehabilitation Programme Provided for Drug Addiction Treatment Centre of the Correctional Services Department. Hong Kong: City University of Hong Kong, commissioned by the Correctional Services Department, Hong Kong. Cheung, C. K., Chui, E. W. H., & Yeung, J. W. K. (2018). Evaluation and Reporting of the “Family-Social Protective Network”. Hong Kong: Department Applied Social Sciences, City University of Hong Kong and The Society for the Aid and Rehabilitation of Drug Abusers.